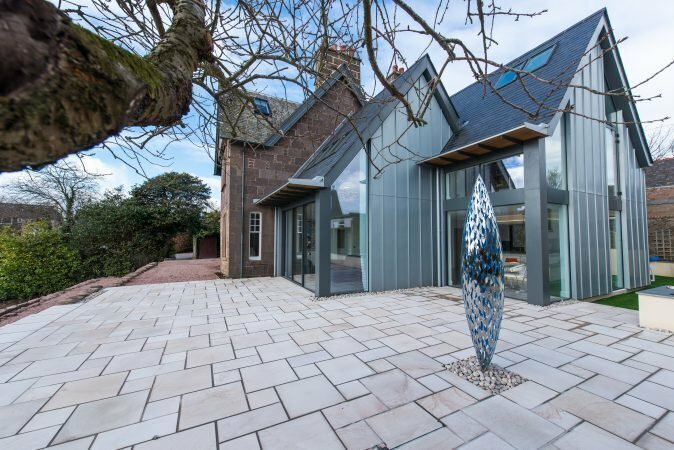 In 2016 Hyve Architects completed the renovation of The Gables, a heritage home in Stonehaven. A modern extension features an open kitchen and family room that connects to the main stone home. The double pitched roofline of the new structure references the end gable line of the original house.